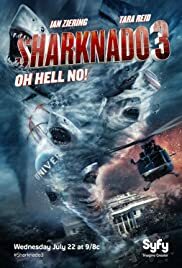 Face-Off: Sharknado vs The Second One vs Oh Hell No! With much of America lying in ruins, the rest of the world braces for a global sharknado; Fin and his family must travel around the world to stop them. What began as another Syfy creature feature has now become an important piece of pop culture - poised to take over the entire world. A half-shark, half-octopus creature created for the military, creates a whole lot of terror in Mexico while a scientist who helped create it tries to capture/kill it. As a mutated, three-headed, great white shark eats its way from one end of the ship to the next, the passengers have to fight the deadly predator using anything they can find. When Fin and April go to Florida for the summer vacation, strong winds and lots of rain comes to Florida and a Sharknado comes and destroyes Florida. The Sharknado goes to Washington D.C. and sharks falling from the sky. It's up to Fin and April to stop the Sharknado the third time. Agent Devoreaux: Mr. Shepard, the President needs you right now! 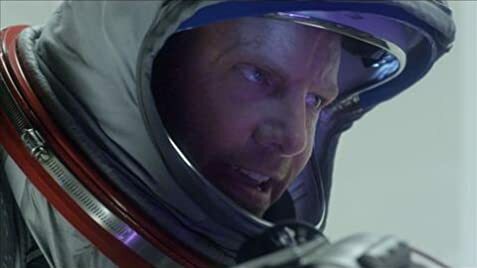 Fin Shepard: I didn't think I was gonna make it. Q: What is "Sharknado 3: Oh Hell No!" about? Q: Is "Sharknado 3: Oh Hell No!" based on a book?